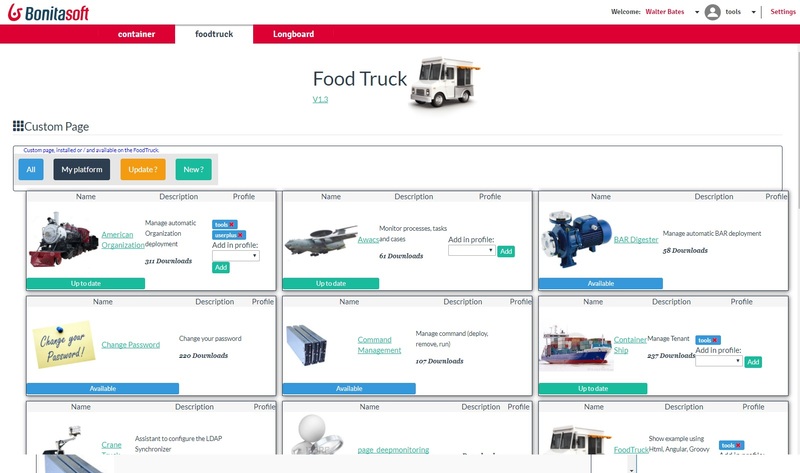 Food Truck is the best place to discover and download custom pages, custom widgets and Living Applications you'll love on your Bonita Runtime. This custom page enables you to list all available artifacts on Bonita Community GitHub and helps you install the one you have chosen on your Bonita Runtime for selected user profiles. This allows you as well to update to latest versions.